How to select the correct Propeller System. Don't know what size your prop is? We have Volvo's guide to prop sizing right here. 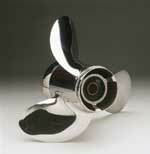 The SX propeller is available in 3-blade aluminum and stainless steel as well as 4-blade aluminum. The 3-blade SX is perfect for the standard installation and the stainless propeller being the perfect choice for high speeds. 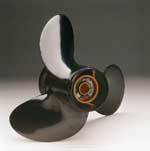 The 4-blade propeller is the perfect choice when acceleration and remainin planing at lower revs are important. 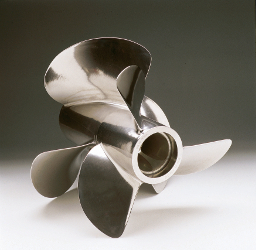 The Volvo Penta single propellers are made from aluminum or high-performance stainless steel and are available fro right-hand and left-hand rotation. Developed and tested for each application to ensure performance,handling, and life expectancy. The design is unique, which results in high efficiency at all speeds, safe handling, easy maneuvering - and excellent onboard comfort. The increased blade area of the high speed propeller makes it most suitable for use with high power engines and at high revs. In a fast boat, this does not only mean increased speed, it also means that a heavily loaded boat will plane more quickly and enjoy better fuel economy. 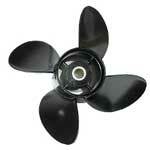 The high speed propeller's excellent reversing characteristics also mean faster and safer manuevering. V6 and V8 engines should always be fitted with the long hub which is also suitable for 4 cylinder petrol engines. Order a long hub cone (a.k.a. nut) to go with this type of propeller. The long hub depth to the end of the shaft is 5.375"
The long hub prop width is 4.5"
Specially designed for the increased torque of diesel engines. Not for KAD300! Order a 20 mm shaft cone (a.k.a. nut) to go with this type of propeller. Order a 16 mm shaft cone (a.k.a. nut) to go with this type of propeller. **For a complete kit use the J-Series propellers. Gasoline and diesel engines. For speeds above 35 knots, use Type C propeller. Quantity of one unless noted otherwise. Gasoline and diesel. The D-series is replaced by the I-series. See below for more information on the I-series. Do not mix D-series with I series on the same drive. *The D-series front and rear propellers are only available as spare parts for existing installations. ** For complete kit, use the I-series. 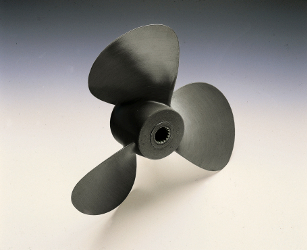 This stainless steel propeller is specially developed to handle the high forces of the DPX high speed drive, speeds up to 75 knots. All quantities of one unless noted. 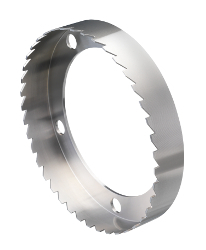 The stainless steel option for high performance gasoline and diesel engines with DPS drive. 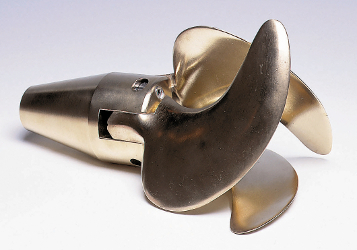 The material used gives the propeller blades greater torsional strength. 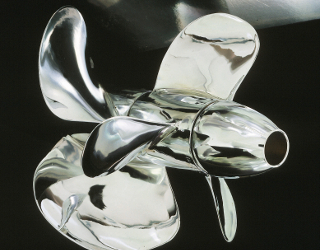 Propellers are electrically insulated from the drive to prevent galvanic corrosion. Featuring full electric isolation for no growth and excellent corrosion resistance. Specially developed to handle the enormous torque and power from the D4 and D6 engines. The combination of 3-blade front and 4-blade rear propellers are key to tremendous grip in the water. Made in stainless steel for speeds above 35 knots. All quanities of one unless noted. The stainless steel option for high performance gasoline and diesel engines with DPS-B drive. 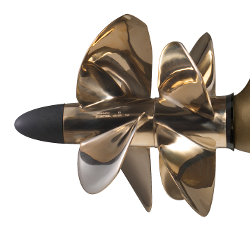 Only FH and IH series propellers have helical splines. 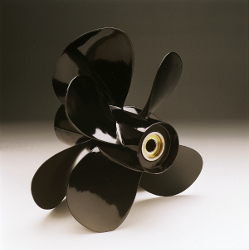 The FH propeller is designed to transfer all thrust from the propeller to the main body of bushing. 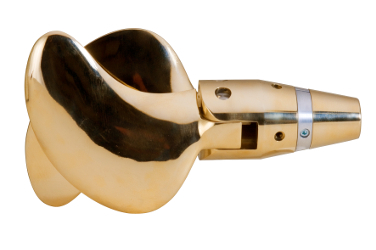 This ensures that the propeller cannot walk forward on the bushing. Electrically insulated from the drive to prevent galvanic corrosion. 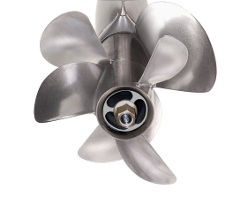 A new propeller introduced to replace the D-series which are smooth running with high comfort levels. The blade geometry gives improved performance during acceleration, top speed, and propeller grip. Good cavitation resistance. Improved 4-layer surface treatment for corrosion protection. Recommended for boat speeds up to 38 knots (45mph). The new IH-series has the same benefits as Type-I, but is specifically made for the DPS-B drives with helical splines. 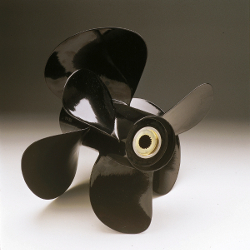 Only FH- and IH-series propellers have helical splines. The IH-series is the aluminum option for the DPS-B drives. 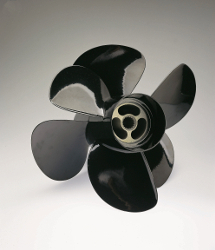 IH propellers are only approved on D3 diesel and 4.3L gasoline applications below 38 knots (45mph). Type J is an all new modern aluminum propeller designed for our classic drives with diesel and gasoline engines up to 230hp. Note: For engines above 230hp and/or speeds above 38 knots (45mph) we recommend stainless steel Type C.
Note! Do not mix J series with A or B series on the same drive. For twin installation use only the same propeller type on both drives. 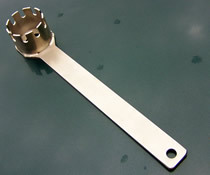 This special tool helps you remove the forward propeller nut. Works for DP-A, B, C, D, E, G, DP-S, XDP and DP-H, DPS-A, DPS-B. The Volvo Penta IPS propellers are made to add to the revolutionary Volvo Penta IPS propulsion system's outstanding performance. 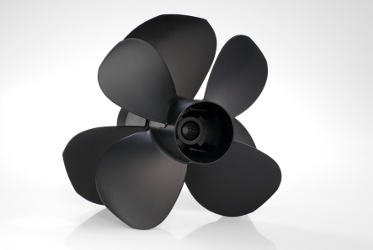 Our propellers for Volvo Penta IPS take full advantage of the twin, counter-rotating concept. 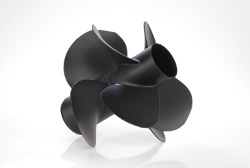 The propellers have perfect balance and are developed to match perfectly. The front and rear propellers must interact in perfect harmony to deliver optimized performance. Volvo Penta has done extensive testing to ensure a perfect match throughout to the complete drivetrain. Incorrect balance leads to excessive wear on the drivetrain. That's why it is vital to always choose Volvo Penta IPS propellers. 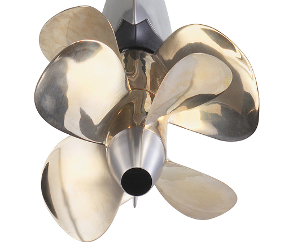 The nickel-aluminum-bronze propeller is developed to add to the revolutionary IPS propulsion system's outstanding performance. The design combined with a material that withstands corrosion as well as minimizing growth, ensures optimum performance and outstanding maneuverability. Quantity of one unless noted. The line cutter is mounted to the rear propeler which creates a very efficient rotating cutting action. It is easy to install using the existing locking bolts and does not increase drag or fuel consumption. 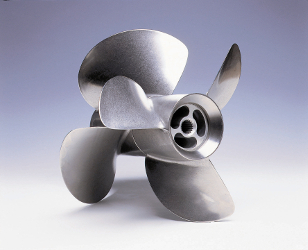 Volvo Penta's folding propeller offers up to 1.5 knots higher speed under sail compared with a fixed propeller. With no complicated machinery or mechanisms to cause troubles, the propellers provide superb reliability. 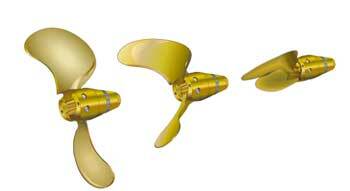 The folding propellers are made of a nickel-aluminum-bronze alloy which ensure excellent corrosion resistance. The folding propeller's greatest advantage is its low drag under sail (up to 8x lower). They offer outstanding manueverability. Despite being a folding propeller, reverse thrust is fully comparable with that of a fixed propeller. The 3- and 4-blade propellers offer more or less the same speed as the 3-blade fixed propeller across the full rev range. Promotes quiet and vibration free operation. Available for both sail drive and shaft. Propeller size has to be calculated to match engine and gear ratio. For a complete propeller, order one blade kit and one hub kit. Click here for a printable version of this table. 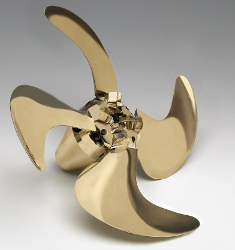 Volvo Penta's S-drive propellers for 110S and 1120S are manufactured of aluminum and bronze alloys, developed to withstand salt water and cavitation damage.